Our veterans program has grown significantly in recent years as approximately 200 veterans, active-duty military and their families come to Fieldstone Farm each year to work and bond with our horses. 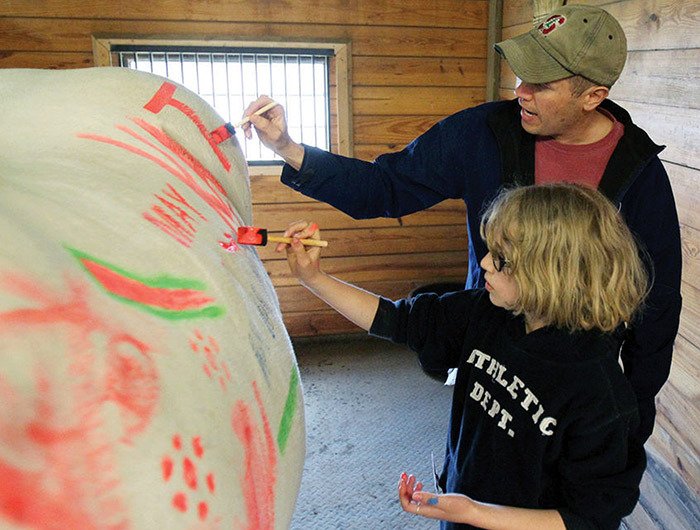 This represents one of the largest equine programs for veterans in the country. 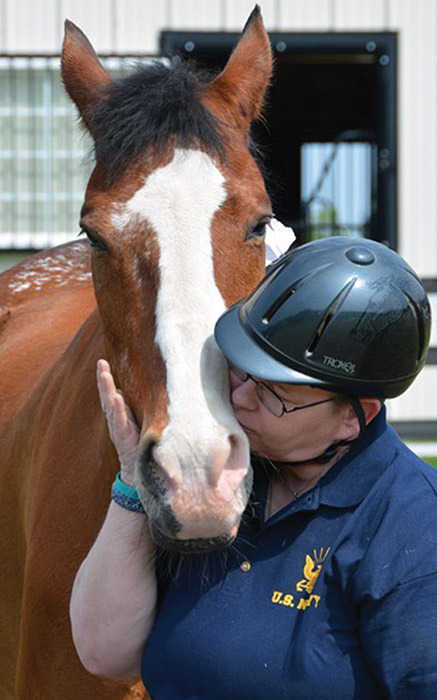 While riding, grooming, interacting with horses, or getting behind horse-drawn carriages, members of the military are learning ways to overcome the struggles of everyday civilian life and heal from the emotional and physical scars of military service. To read about how our horses changed one of our veteran’s lives, click here. Our collaborations with organizations such as the Veterans Administration, Volunteers of America, the Wounded Warrior Project and Ohio Operation Military Kids help us to develop relevant and meaningful programs for the military and their families. Thanks to the generosity of our donors, our military programming is currently available at no charge. To learn more about how horses can change your life or someone you care about, please email us at veterans@fieldstonefarmtrc.com or call 440-708-0013 and ask for Aviva. Ernest, U.S. Army Veteran, who rides at Fieldstone and now volunteers in our therapeutic and carriage driving programs. "Working with horses keeps me grounded. I feel an incredible connection with these horses. They teach me to be softer, kinder and more patient. Fieldstone Farm saved my life!" Jen, U.S. Navy Veteran, who worked with our horses in several programs and now volunteers in our therapeutic riding program. "Fieldstone Farm opened up a new world to me. I am a healthier person, not only physically but emotionally too." Steve, U.S. Air Force Veteran, who comes to our Veterans Program each week.